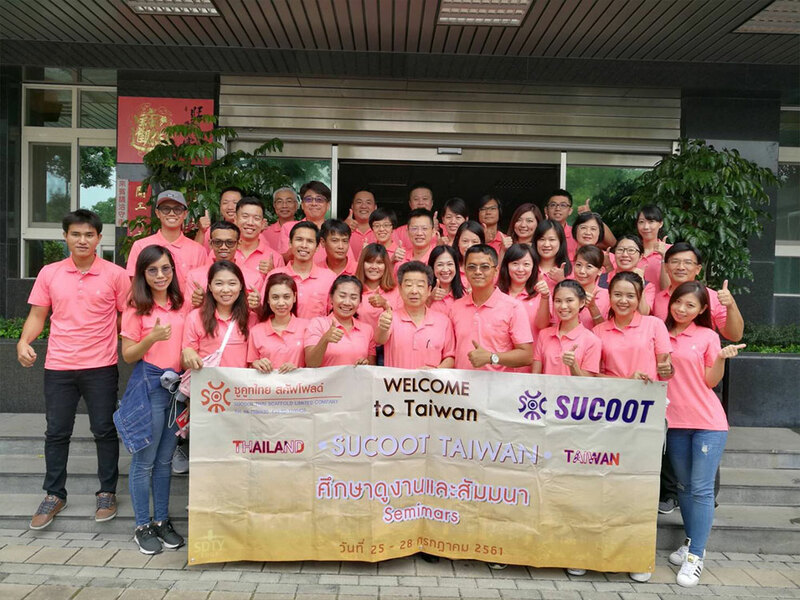 Although the visiting was short, SUCOOT headquarters arranged a serial of education activists; allowed our Thailand colleagues to have a better understanding of the company history, factory manufacture process, product damage judgment, and the renovation skill. What? ?s more, the visiting not only include the in-door program but also a real construction site tour. Thanks to the opportunity, SUCOOT Group leads to the solidarity and internal cohesion. SUCOOT Group has become a multination corporation. Undoubtedly, SUCOOT Group contributes not only innovation but also social responsibility. Sucoot will once presenting our expertise in Scaffolding, Formwork and Accessories at World of Concrete, the largest annual international event dedicated to concrete and masonry professionals. We warmly welcome your presence. 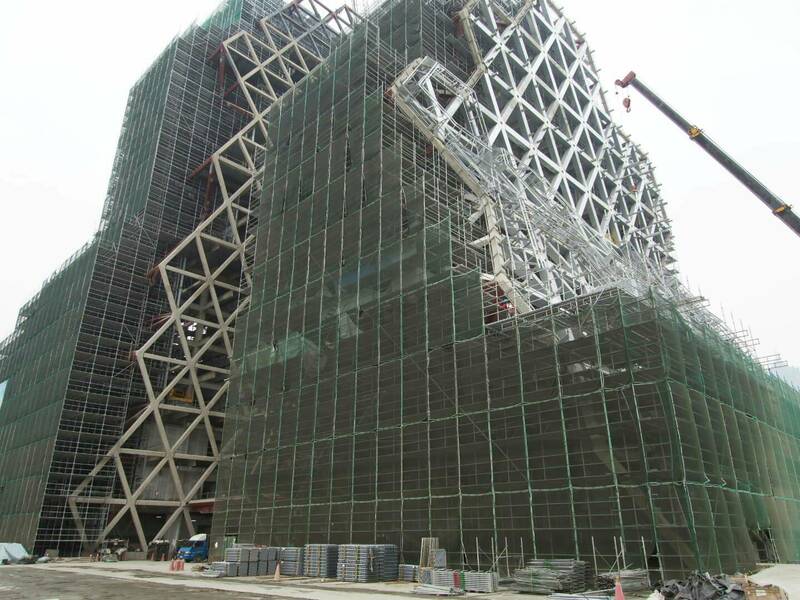 Starting from 2016, an 11.49 hectares area near Kaohsiung port, a music center is under construction. Designed by Spanish architecture Manuel Alvarez Monteserin Lahoz and Habitech Architects. The music center will be the site for popular music performance. 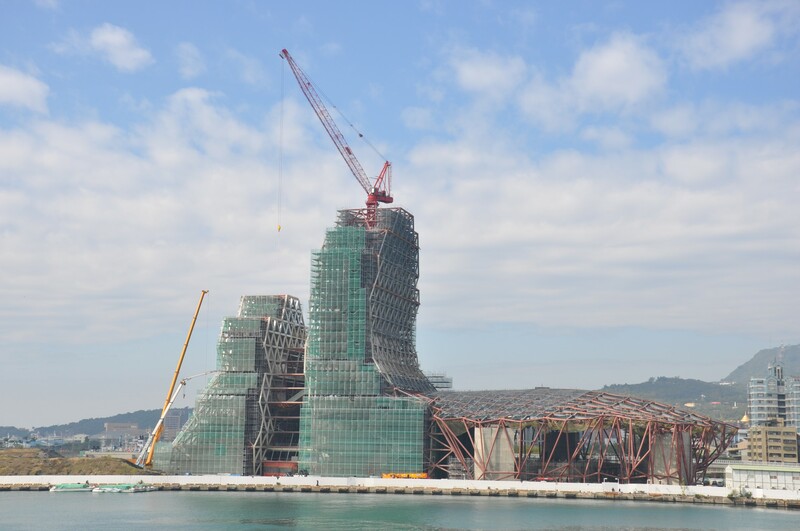 The building is designed imitate the waves, highlighting the symbol of the marine city. Two towers, one 86.5 meter the other 58 meter. 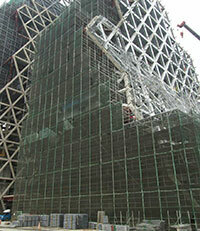 The wave shape design was comply by irregular steel structure. Brought a BIG challenge for building the scaffolding--- numerous suspensions required. 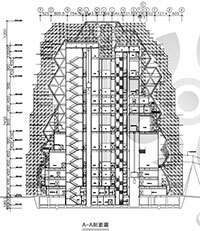 As a result of reliable loading capacity and great flexibility to adjust according to the real site situation, Sucoot? ?s Ring System Scaffolding is capable to for the task due. Furthermore, during the construction Sucoot? ?s engineers were fully accessible at all time and continuously involved in the case. From evaluate the design idea to building the scaffolding to final acceptance. River across bridgeClient?GRaito Engineering Corp. 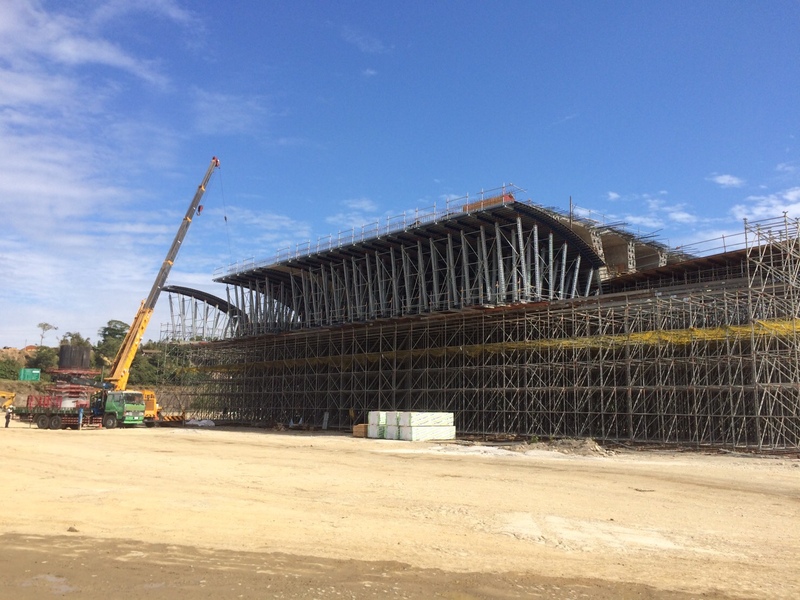 The bridge is built to ensure the traffic of the World Flower Expo take place at 2018 in Taichung. Total bridge length 830 m, width 30 m including 4 drive lanes, 2 motorcycle lane plus sidewalk and bicycle lane on both directions. 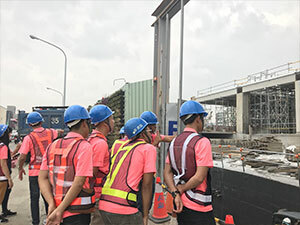 The girder is 30m width and depth up to 6.5 m. 10 span cross the river and high riverbank yet the schedule is tight, the duration is limited in 24 months. Considering the duration limitation, the original plan FCM method was abandon, the main contractor, Raito change it into Full span support method and choose Sucoot to be his partner. Sucoot provide 5 sets system formwork which combines Sucoot? ?s?p60.2mm Shoring scaffolding, Top beam and Base beam to adopt 5 pier tables allows separate operation areas. These formwork systems are strong and tight therefore they can be easily move by trailer truck, to reduce drop mold time and demolding time. The expect duration was down from 7 months to 4-5 months, save up to 30% working time. With all the limitation and short duration, Sucoot? ?s excellent quality product, professional engineering service and commit on-time delivery. Once again Sucoot provide solution for our client. 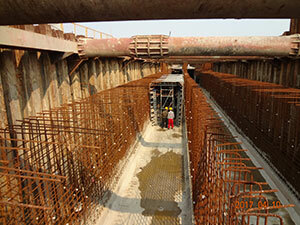 The Chinese Government declares new serial underground box culvert infrastructure start from 2015. To avoid consistently damage the road and block traffic, the plan is to build underground box culvert over 389 kilometers, contain electricity, communications, gas, water supply, sewage pipelines. Haikou city is one of the ten pilot cities to start the structure. The goal was to build total length 43.24 kilo underground culvert within 3 years. 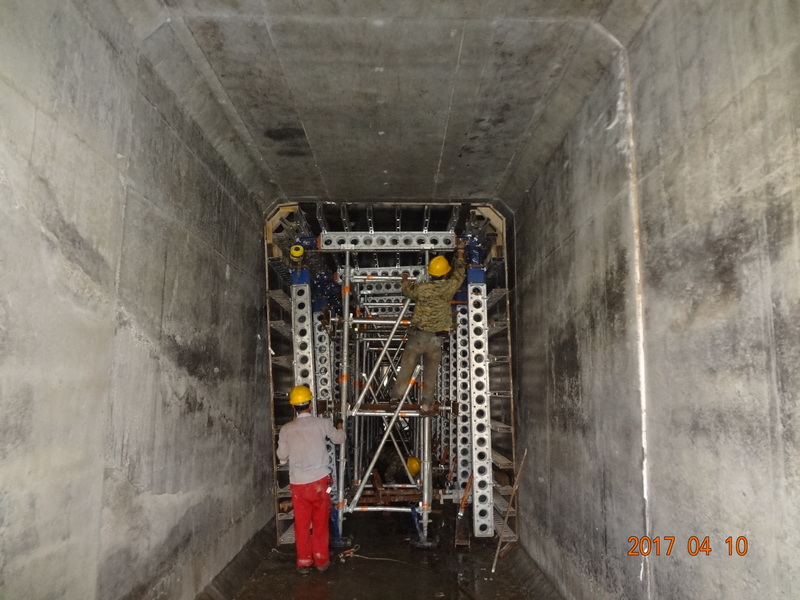 Among various box culvert methods such as traditional form type, TBM etc., Sucoot was selected and participated in the cast-in-situ project. The client demands to build as whole culvert as the wall and ceiling together plus without tie rods. As solution Sucoot provide Mobile Formwork System, mainly it? 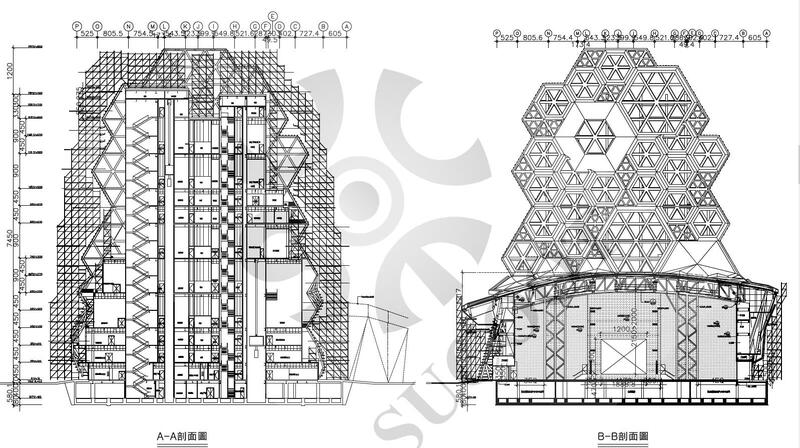 ?s the combination of Top Beam, Base Beam and Ring System Scaffolding. It can be easily down mold, demolding and move away by man push on wheel. The project length total 6.8 kilo, demand duration within 6 months. By using Sucoot? 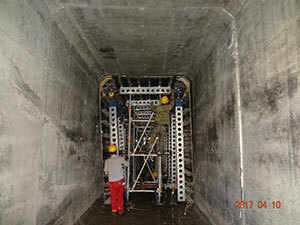 ?s Mobile Formwork System it completely in 2.5 months, an over 50% time saving. According to real site analysis if 20 meter standard segment, compare to traditional formwork system, Sucoot save 33% time, 40% human cost, 25% machine cost.